(Phys.org)—Earlier this week Linus Torvalds took away support for 386 CPUs from the Linux kernel. He agreed with the position of Red Hat engineer and Linux kernel developer Ingo Molnar to drop support for Intel's old 386 microprocessors. For Linux users, the world is not coming to a halt. All it means is that the 386 DX33 chip will not be able to run in future versions of Linux, just in existing versions of the kernel. Intel 386-DX owners, for whatever hobbyist or other reasons, will not be able to enjoy the new Linux versions starting with 3.8. Molnár explained that the extra work involved in continuing support was greater than the returns in benefits. "This tree removes ancient 386 CPU support and thus zaps quite a bit of complexity, which has plagued us with extra work whenever we wanted to change SMP primitives, for years," Molnar wrote in a message to Linux kernel creator Torvalds. He spoke of the "nostalgic cost being that "your old original 386 DX33 system from early 1991 won't be able to boot modern Linux kernels anymore." Torvalds replied, I'm not sentimental. Good riddance." Intel's 32-bit 386 processor was first introduced in 1985 and production continued until 2007. In May 2006, Intel announced that 80386 production would stop at the end of September 2007. 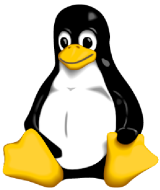 The Linux kernel was released in 1991 and was eventually ported to a number of computer hardware platforms. The general reaction among technology bloggers is that Torvalds' decision to make the 386 processors history for Linux is not expected to bother most Linux users except for those who choose to still build on very old rigs. "It's been a somewhat drawn out release despite the 3.7 merge window having otherwise appeared pretty straightforward, and none of the rc's were all that big either. But we're done, and this means that the merge window will close on Christmas eve. Or rather, I'll probably close it a couple of days early. For obvious reasons. It's the main commercial holiday of the year, after all." Part of the news about this release is support for the ARM 64-bit architecture, with ARM support to boot into different systems using the same kernel, which translates into portability across different hardware setups. There is also support for the Intel "supervisor mode access prevention" (SMAP) security feature. The release carries new drivers and fixes too. "to drop support for Intel's old 386 microprocessors." I take offense here. I have a host of laptops and real PCs, that are at least Pentium grade. And most of today's distros simply can't survive with, say, 64MB RAM, or anything less than 800MHz clock speed. Compared to that, the whole 386 (IMHO) pretense, has been a joke. Even single-board embedded manufacturers have enjoyed at least P-II CPU:s for decades already. (I actually work at one.) Nobody has even imagined that anybody would even find a "386-only" processor anywhere. Now, to add to my aggravation, it has unfortunately been customary for years, that any piece of software is compiled and linked with the ultimately newest libraries -- NO MATTER WHETHER THERE IS ANY REAL REASON -- to do it. The young programmers always seem to demand the Very Newest, of everything. What this leads to, is, most apps gratuitously not working, unless you have the newest _kernel_ and _libraries_. I've been "out-dated" with a Core i3!! Yeap, I see what your saying gwrede. However, it's not too bad. It just one more step forward for linux. Here is what I mean; Intel quit manufacture of the 386 chip in 2007. Now 5 years later, Linus has decided that the extra-baggage needed to support 'booting' on the 386 isn't worth the continued support in "FUTURE" versions of linux. That is just technology marching forward. So can Windows 8 boot on a 386 machine and would it even support the video and graphics of the ancient systems. I do agree with you, it is really sad to see end-of-life, but that is the modern world isn't it? Fortunately the last i386 processor will boot linux at version 3.7; a very robust kernel indeed. It will always boot the old 386ers for a long time. Eventually that technology will all be lost in the ravages of time, and man-kinds demise and decent into the machine. Unless you subject yourself to breaking your operating system every six months by "upgrading" it, or using some buggy development version, you'll be begging on your knees for someone to do a "backport" of the software you'd want. The whole market for end user software in Linux is completely dependent on whether a bunch of opinionated nerds are willing to throw you a bone. As a linux advocate since before Slackware made my life easy, I totally agree with you. The Gentoo guys had it right, just compile your own and your always safe, at least until glibc changes. Just compile you code static, and you can avoid all of those issues for many generations. It beats the dll-hell that windows had. It beats the dll-hell that windows had. In 1998. And even then it wasn't really a problem because software vendors simply rolled the required dlls with the software so the users never had to deal with it. Makes you feel old, doesn't it? Just don't update your kernels, your 386 systems will continue to function, jfc. So does this mean they will finally support 486 optimized code? Drat! Time to mothball my 386 rocket. Improving the quality and simplifying the Linux kernel is FAR MORE IMPORTANT than supporting 30 yr old chip technology. I'm a software developer, and to me it was shocking that there was any 386 code still in Linux! Good riddance! My original point was, it's okay to skip the 386. I have tons of software I'd like to use on the older laptops, and it would work perfectly in them, if the binaries didn't demand a new library version. Upgrading the distros is no answer, because the newer ones need too much memory and speed. And to shoehorn newer libraries into old distros is a lot of work, and your mileage varies. In summary: If the software is way too fancy for any older lib, then ok, use the newest one. But for any piece of "normal" software, use the oldest lib that gets the job done. Then the world would be a batter place for us all! I wonder to what extent this speaks to the design of the kernel; that it's difficult to abstract things and make them not dependent on the hardware. This never seems to have been the focus in Linux - at least not as much as alternatives like NetBSD. I agree. It is frustrating to have to upgrade hardware due to developers obsession with NEW! That's right up there with bloatware. I installed Mint 13 on a system with a 2.8GHz processor. The processor is pegged most of the time and opening a web browser can take 10-15 seconds. But I do agree that dropping 386 support is a good idea. Not even NASA uses them ... much. Have no idea what any of this means. How do I find out if i have a 386 machine? I guess new is always better than stable and more compatible. People dont realize that businesses which use the linux platform for development cannot afford to rewrite all their custom software to keep up with changing architectures. The same applies for any other OS. This problem stems from people who develop dont actual see the applications. The kernel adds tons of code to the ARM branch to support multiple architectures and removes 20 year old obselete code from the x86 branch .. Is it the beginning of the end for x86 ? My android tablet uses a 1.5ghz arm proc and it does pretty much 90% of everything i need a PC for. With linux and the "cloud"/HTML5 the lines between architectures are getting blurred. I regularly backport newer packages to the last LTS release using ubuntu ppa's. Since with linux the source code is available you just need to usually change a few lines in the control files and the debian tools pop out a .deb that will happily work with your older systems. Most linux software uses autoconf or the like which will auto-magically use the oldest possible libraries and work fine even on older systems. In most cases someone has already back-ported the latest and greatest to a ppa so you don't need to even compile anything. You can't really assume that, because nobody is strictly enforcing backwards compatibility with the software libraries, and even things like people compiling the same libraries with different complier options in different distros may introduce bugs or behaviours that weren't there on the version that you had when you made your software. It makes bug hunting a nightmare, because you can't be sure where the problem is when your users report that the software isn't working right. Your software MAY work with the newer libraries, and USUALLY does so, but no guarantees. Which kinda narrows your options down to non-commercial software, or software that is ad-funded or sponsored to be free so that it doesn't have to mind copycats. That's the whole issue of the system. That's why you don't see industry standard software like AutoCAD, Catia or Photoshop for Linux. Anyone who puts real effort into an elaborate product will want to ensure that they're not just handing all that work on a silver plate to their competitors. Did you buy your computer in the last 15 years? If so, don't worry. For those of you dudes and dudettes that wonder about 386's, don't. If you have a 386 in your 'chine. Chances are it is a desktop and not a tower case. Or if a tower case, then maybe the old 'full tower' versions that sat on floors and weighed a ton. Inside, the 386 chip was usually paired with a 387 chip that was its arithmetic co processor and handled the math functions offloaded from the 386' operational stack. The 386 chip was long, about three inches almost, and was a 'dip' for dual inline package. That meant it had a row of pins, big ones, along both of the long sides. The 387, usually called the 80387, looked just like the 386. Some 386's of later edition were square, with pins underneath or on all four sides. All said: '386, 80386, or iapx386. on top along with another number for the speed of the chip. The fastest I remember was 100Mhz. Been building systems for many years and built them ALL from 8088 to AMD Phenom II 945's. BTW, chip is largest chip on motherboard. Actually, I applaud Linus for keeping the 386/387 specific code in the kernel this long. It's been a great ride. I'm always amazed when I compile (roll) my own kernel to tweak in a few optimizations. What a work of art the Linux kernel has become! Everything is documented and described, features all work together and cohesively melts into a code sauce that works with all flavors of CPUs that aren't brain damaged. From Androids up to Supercomputers, Linux has a great footprint. Actually, I applaud Linus for keeping the 386/387 specific code in the kernel this long. What a work of art the Linux kernel has become! Everything is documented and described, features all work together and cohesively melts into a code sauce that works with all flavors of CPUs that aren't brain damaged. The strong point with Linux has not been design or "vision" or any of the other "superior" features that other flavors of *nix claim over linux. It has always been execution. And on that one point Linux has always been ahead of the pack of *bsd , solaris and other *nixes. They've always been nimble to have the best support for hardware that other *nixes and even winderz choke on. And when the hardware support is lacking, compile the latest kernel and it "just works". Linux is already well on its way to dominate the non-winderz space from Mobile phones/routers all the way to supercomputers. I actually have a trove of 386 motherboards, and at least some full sized. AT form factor desktops were large and heavy and built to last. Still have my first homebuilt 386, complete with 80387 math chip and SIPP memory. That is Single Inline Pin Package RAM. I could not find RAM upgrades cheap in SIPP's (rare), so made my own by soldering clipped leads from old 1/2 watt resistors to a corresponding SIMM. All 8 bit RAM. African engineering, but it worked. Think the Africans would be proud of me. Moved on from that one to new homebuilts a long time ago. Have NEVER bought a store bought hunk-o-junk. Proud of being a 'guess that jumper' and 'switch dat dip & c wut happns' kind o' cat. Old stuff never documented and all secret so dats da way u hadta go. Esp da ole Western Elec long factor MFM disk cuntrollers. Actually, the old stuff is just as good as da nu stuff fer most jobs, & keeps da kids happy, as old games mo play valu than nu ones dat all just junk wid eye candy.